Japanese researcher Hiroshi Nittono published a study in 2012 claiming that viewing cute images increases focus. 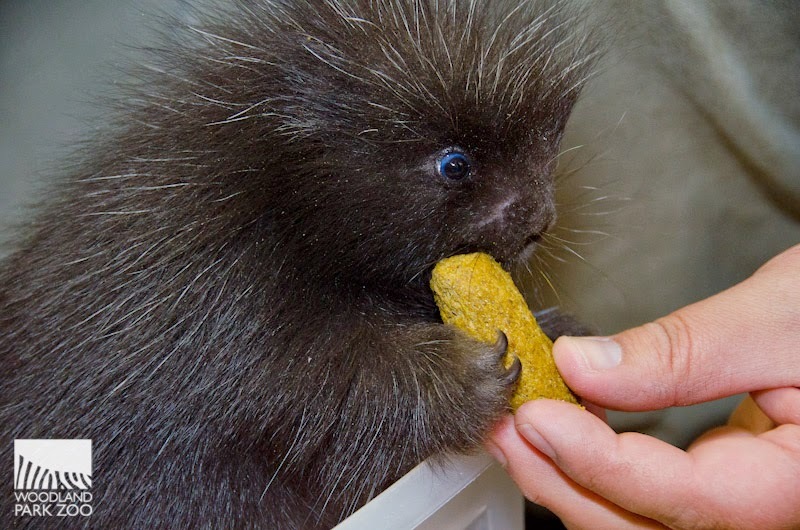 Their data comes from an experiment in which participants were shown images of baby animals or adult one and then tasked with a “fine motor dexterity task”. Those shown the cute images performed the task better than those shown the non-cute or adult images. He extrapolates that viewing cute images at work may actually improve productivy (PLOS ONE link to original article). 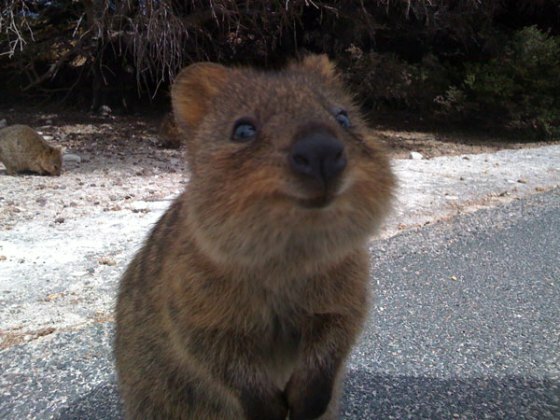 The quokka is an Australian marsupial. 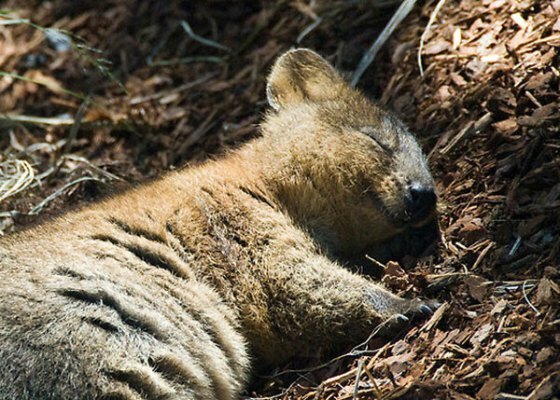 Listed as a vulnerable species, the quokka is also unique because he has the hind leg strength to hop like a kangaroo but still climb like a koala…all with smile on his face! 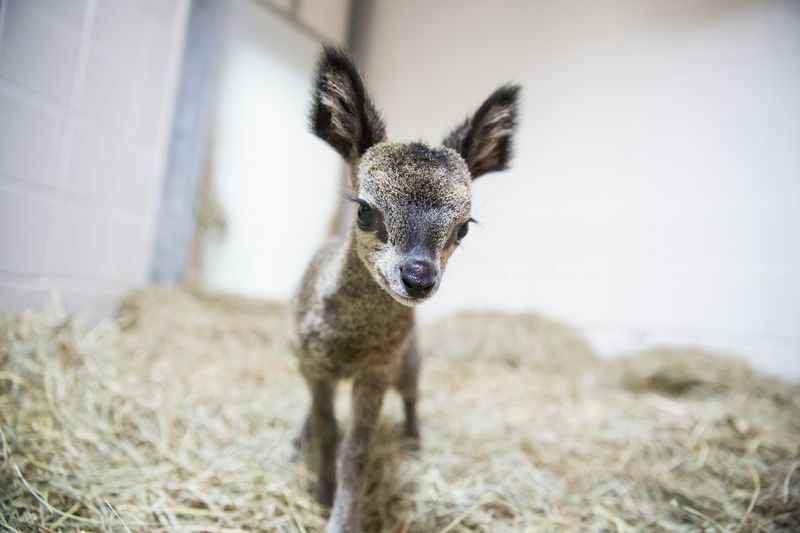 The Kipspringer is a dwarf antelope that even when full grown will fit on a “Canadian one dollar coin”(ZooBorns). She’s currently being hand reared by keepers and will eventually join her older sister and mother. Look at those blue eyes! 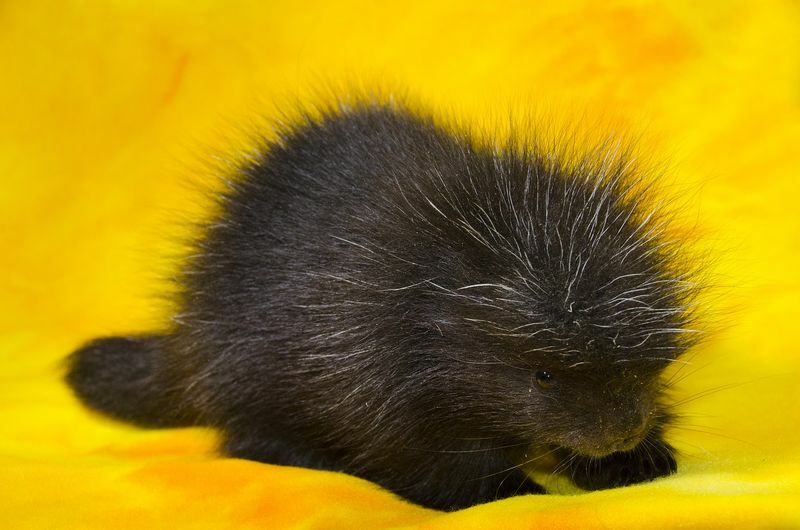 But be careful – that fuzzy coat is already full of spines! 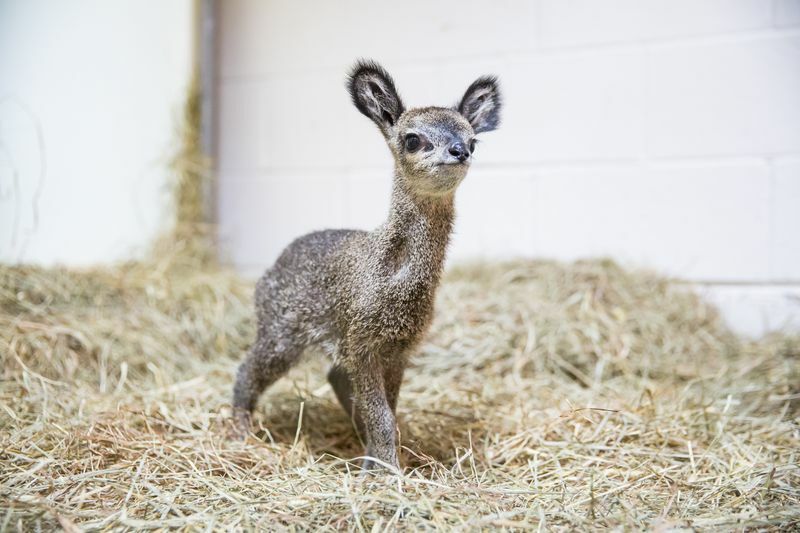 According to ZooBorns their fluffy coat begins to harden very shortly after birth.